One of the tightest bottlenecks in vascular tissue engineering is the lack of strength and elasticity of engineered vascular wall models caused by limited elastic fiber deposition. In this study, collagen gel-based scaffolds were cellularised with vascular smooth muscle cells (SMCs) and supplemented with human plasma fibronectin (FN), a known master organizer of several extracellular matrix (ECM) fiber systems. FN was retained in the scaffolds and promoted deposition of elastin by SMCs as well as of several proteins required for elastogenesis such as fibrillin-1, lysyl oxidase, fibulin-4 and latent TGF-β binding protein-4. 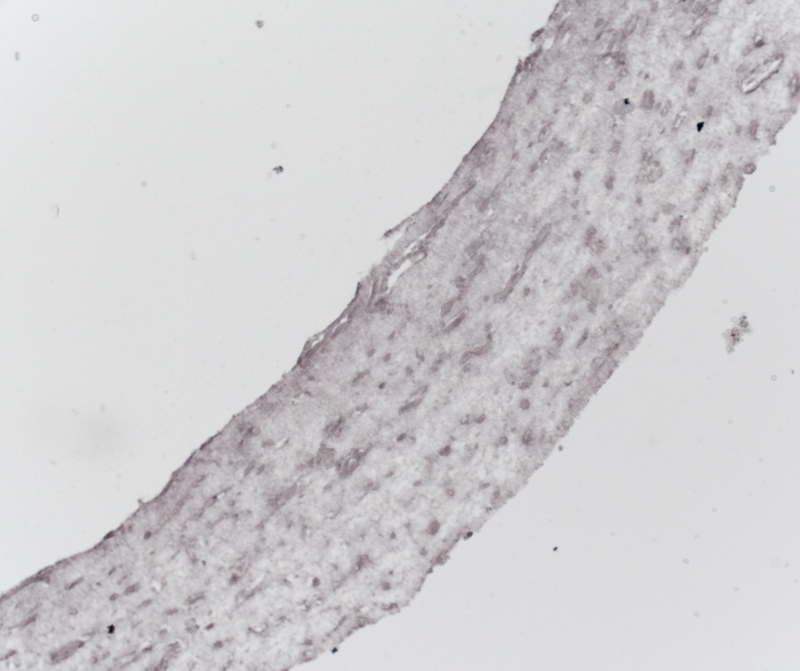 Notably, gel contraction, tensile equilibrium elastic modulus and elasticity were strongly improved in tubular engineered tissues, approaching the behavior of native arteries. In conclusion, this study demonstrates that FN exerts pivotal roles in directing SMC-mediated remodeling of scaffolds toward the production of a physiological-like, elastin-containing ECM with excellent mechanical properties. The developed FN-supplemented systems are promising for tissue engineering applications where the generation of mature elastic tissue is desired and represent valuable advanced in vitro models to investigate elastogenesis. Dieter Reinhardt and Diego Mantovani are co-senior and co-corresponding authors on this paper.